There is nothing more classic than a head to toe black and white ensemble. I bought this skirt several weeks ago and was waiting for warmer temperatures to pull it out of the shopping bag. Finally, temperatures in the East Coast crawled above 30 degrees and out came my new skirt! Unfortunately, it was still too chilly to go bare legged. The day I wore this outfit, I had one of those mornings. You know the kind. The kind where you just don't have anything to wear and nothing looks right. And you wish the mall was open at 6 am. Whenever I have one of those mornings, I always reach for black and white. Simple, classic and timeless. 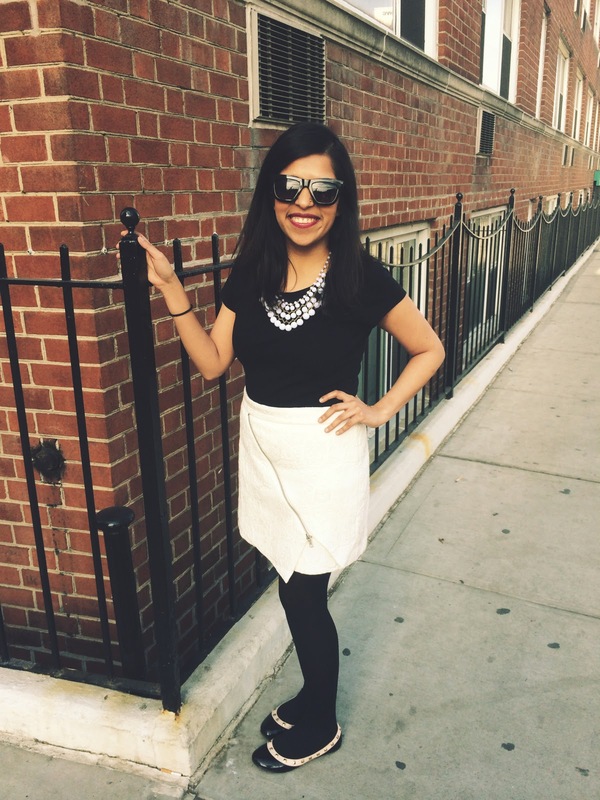 Skirt: Forever 21. Similar here and here. 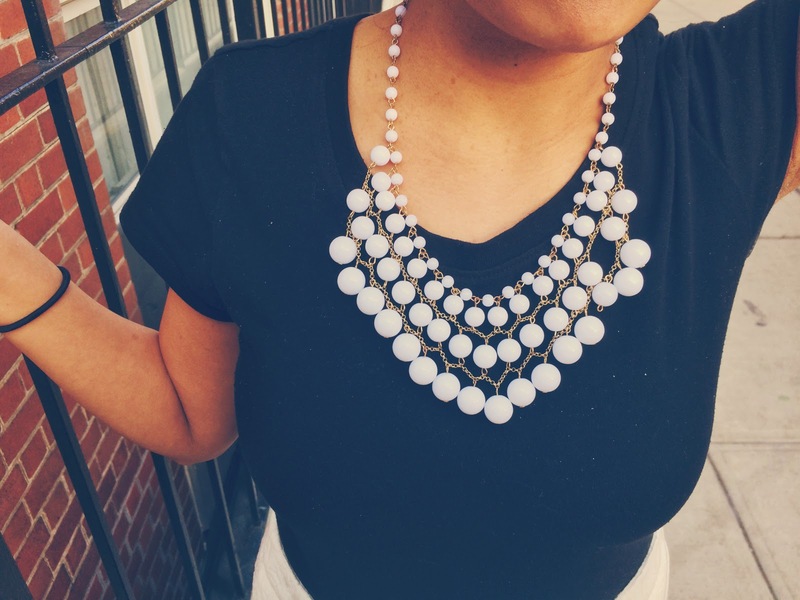 Necklace: Charlotte Russe, Similar here. So classic! Those Valentino shoes WOULD be a splurge, haha!